With Mukurtu Mobile you can create content on-the-go and upload media to your own Mukurtu CMS-powered community archive, while maintaining control over your content. You can attach multiple media to your content and use our Mukurtu Core metadata fields to build a story about your media, an event, person or memory. Mukurtu Mobile is a mobile authoring tool for Mukurtu CMS, a digital heritage management system designed with the needs of indigenous communities in mind. The growth of Mukurtu CMS over the last years has expanded, and Mukurtu users come from all types of local communities who want to define how they share their cultural materials. 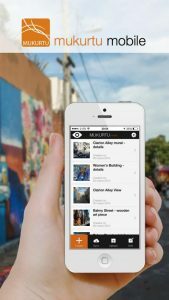 With Mukurtu Mobile you can create content on-the-go and upload media to your own Mukurtu CMS-powered community site, while maintaining control over your content. You can attach multiple media to your content and use Mukurtu Core metadata fields to build a story about your media, an event, person or memory. If you haven’t tried Mukurtu CMS yet, please visit mukurtu.org/get for information on downloading the code for self-hosting, or purchasing a hosted site through Reclaim Hosting. 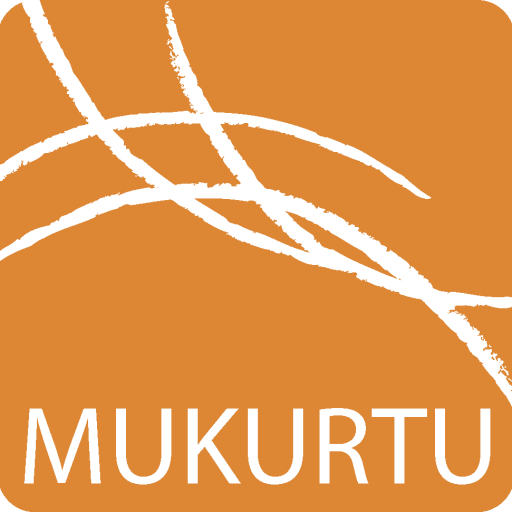 The current release of Mukurtu Mobile was developed thanks to a National Endowment for the Humanities implementation grant. Coming soon new tutorials and support documentation for Mukurtu Mobile 2.5. You are welcome to contact us at support@mukurtu.org to give us your feedback or just get in touch, we love to hear from you! Mukurtu Mobile 1.5 launched at the end of March 2014 for Android phones and tablets and for iPhone and iPad. Below is a list of the app’s main improvements since Mukurtu Mobile 1.0. 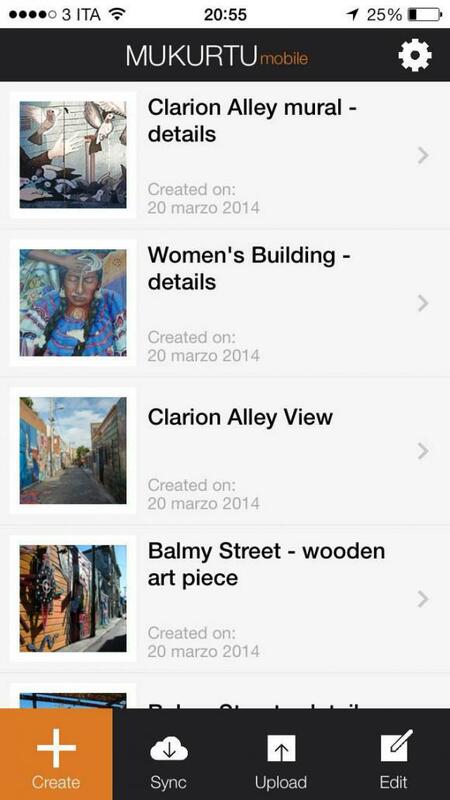 Minor bugs fixed in app navigation, user authentication and content retrieval. Secutiry patch: Logout deletes content that has not been uploaded and limits access to the app. Tablet / iPad brand new interface designed and released. Seamless integration with Drupal/Mukurtu: Mukurtu Mobile allows users to authenticate to a Mukurtu CMS powered site and upload Digital Heritage items – complete with media – directly to the site, using Drupal module Services. Mukurtu standard metadata: your stories are created with a subset of the metadata supported by Mukurtu CMS to facilitate reuse and sharing with other archives. Support for images: Mukurtu Mobile 1.0 supports images from your image gallery and captured live with your phone camera. Geo positioning: GPS+WIFI positioning is used to determine your position on the map. Just drag and drop the viewfinder to position your story manually. You can work either with coordinates or with an address (Geocoding / Reverse Geocoding). Set access permissions based on your own communities and cultural protocols: Mukurtu Mobile retrieves your own permission settings from your server using Drupal module Services. Assign stories to communities or cultural protocols to manage access and upload your content safely. Collect content offline: you will need a login on your first launch to establish connection with a Mukurtu server, but after that you can work offline creating your stories, complete with metadata and media. Demo user to test the app: we provide a demo website and a demo access for you to try out the application before you get mobile enabled on your own Mukurtu CMS powered site. Internal documentation and online support: FAQs right inside your app, available even when working offline, and one-click away online human support. Mukurtu Mobile has supported iPhone since its 1.0 beta release in October 2012. 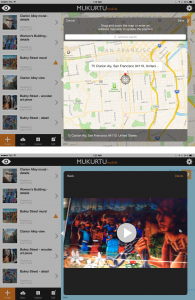 Mukurtu Mobile 1.5, released in March 2014, was the app’s first release supporting iPad. Mukurtu Mobile 2.5, released in August 2015, currently works on iPhones and iPads installing iOS8 and following. Get the app for iOS or read more on our support page. Mukurtu Mobile 1.5, released in March 2014, was the app’s first release supporting Android, developed for both phones and tablets. Mukurtu Mobile 2.0, released in July 2014, supports Android 2.3.6 (distributed since September 2011) and all following versions on phone, Android 3.0 (distributed since February 2011) and following versions on tablet. At this time, the Android app only works with Mukurtu CMS 1.5. Get the app for Android or read more on our support page. 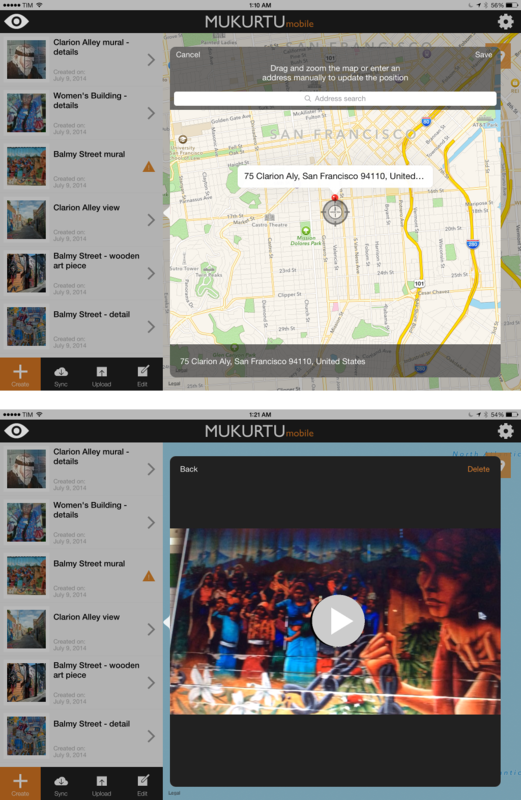 Mukurtu Mobile for iOS works with Mukurtu CMS 2.0, released in 2015, and Mukurtu CMS 1.5. The app supports iOS 8.0 and later. Read more on our support page. 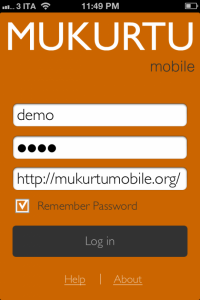 Mukurtu Mobile for Android phones and tablets works with Mukurtu CMS 1.5 (sites created before the end of 2014). The app supports Android 3.0 and later. Read more on our support page. Access as a contributor to your Mukurtu CMS powered site. If you have installed Mukurtu CMS on your own server, release notes will be included in the root folder of your site. 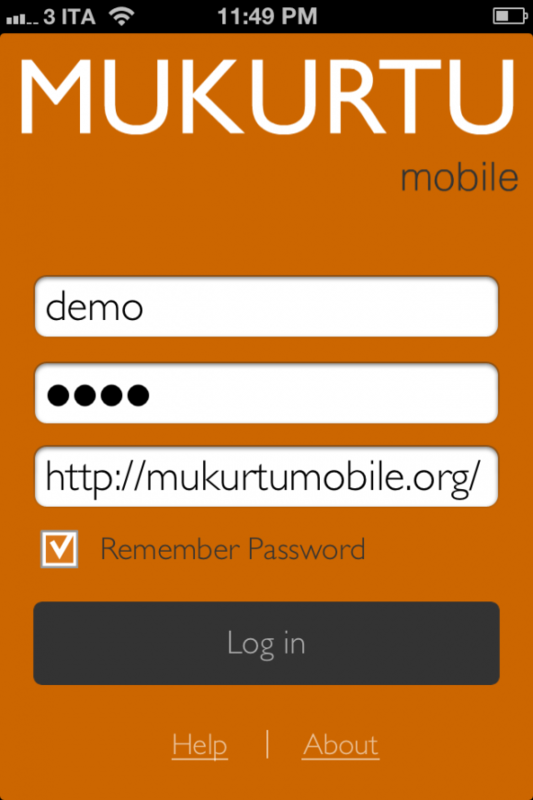 Request a test user account at MukurtuDemo to try out Mukurtu CMS and Mukurtu Mobile! You will need to install the Mukurtu Mobile app on a compatible iOS device.